This is the UNOFFICIAL ship database for Elite Dangerous. Cycle through a collection of the ships and even take them for a spin and try docking at the classic elite space station. Left Mouse button to use camera orbit mode. 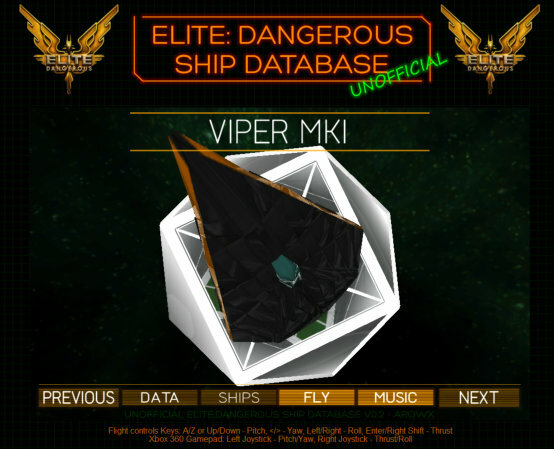 Note that this is fan made material built from information provided by Frontier the game company that is making Elite Dangerous.